Live just a breath away from one of the worlds most renowned beaches in this four-bedroom, three-bath, 4,800 s/f custom home, where beautiful appointments and elegant touches abound. 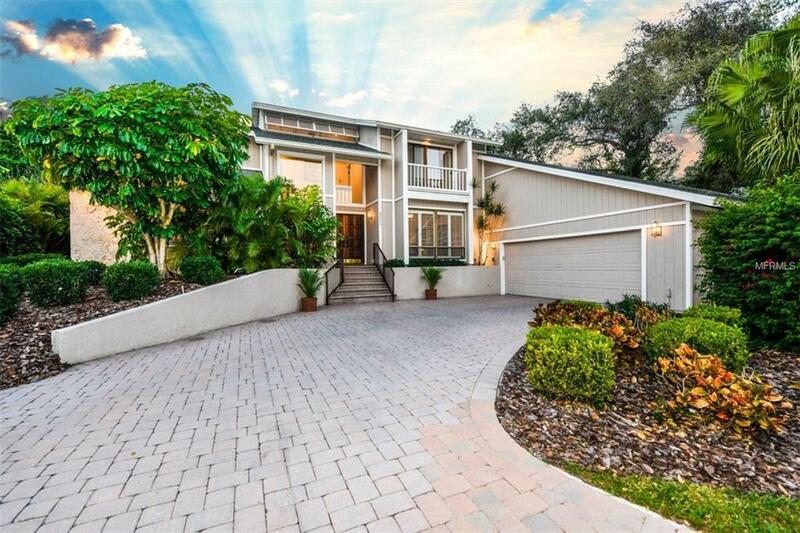 Located in Siesta Cove, one of Siesta Keys premier waterfront neighborhoods, a meandering paver drive ushers you to the front door and stunning two-story entryway, introducing the laidback luxury of this impeccably renovated and maintained residence. Settle in for cozy nights in the family room, where vaulted ceilings, a wood-burning fireplace and a wet bar with custom built-ins create the perfect haven for relaxation. The master bedroom and a guest bedroom are on the first level and 2 additional bedrooms are on the second level. The expansive master suite boasts gleaming wood flooring and a master bath with two separate vanity areas. Perfect for the gourmet, the spacious kitchen includes upgraded appliances, an eat-in area, and fabulous granite counters and backsplash. The enclosed lanai leads to the open, heated pool and spa, enveloped by lush tropical landscaping for privacy and surrounded by stately paver bricks. The Siesta Cove lifestyle affords a world of convenience and opportunity, just a bike ride from the beach and the dining and entertaining attractions of Siesta Village. Boaters have the option of storing watercraft at Siesta Key Marina, just 2.2 miles from the home.